Traveling with food allergies can be extremely stressful. We have found ways to cope, but the easiest vacations we have had since Elizabeth’s diagnosis have been trips to Disney World, Disneyland and Disney Cruise Line. 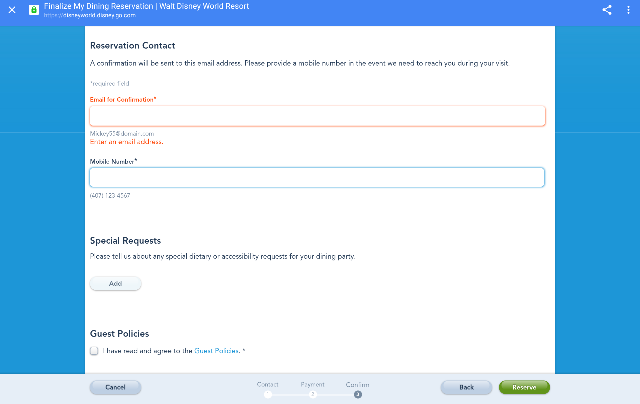 Having a food allergy at Disney is still a challenge, but is so much easier to manage than most other places. Disney does a great job of handling food allergies, even those that might be a little less common. 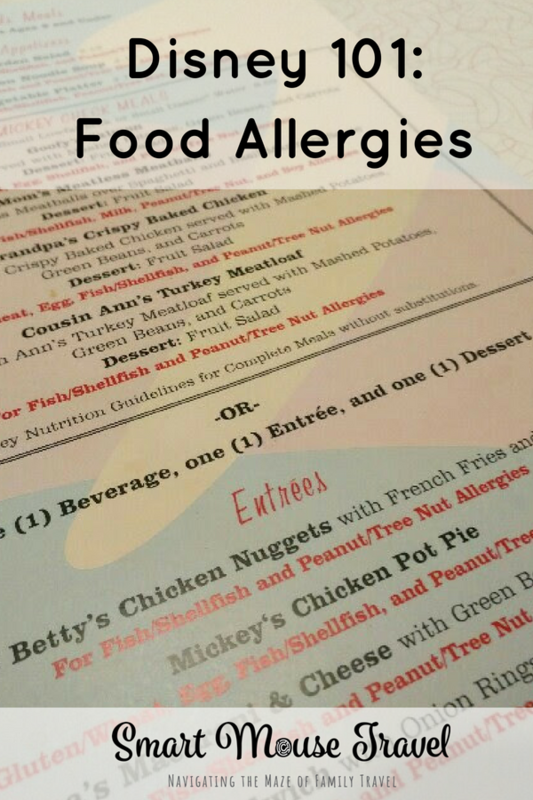 You can note the food allergy through the website or app or on the phone reservation line. 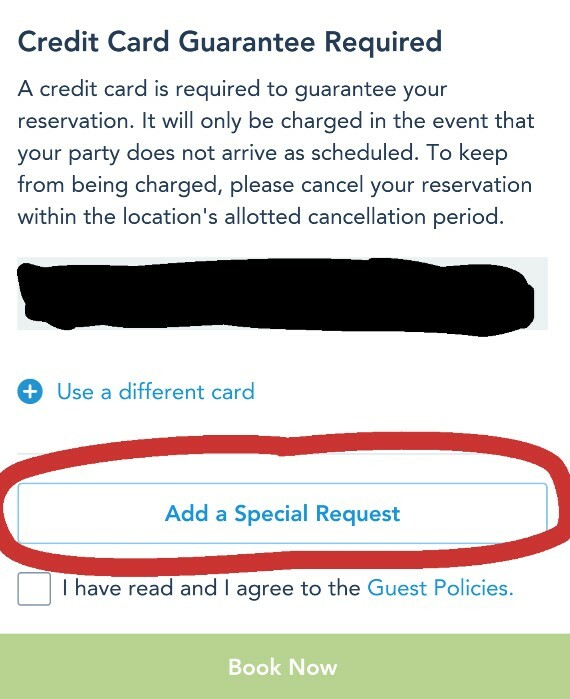 When making the reservation through the app or website there is a place to note dietary (or accessibility) special requests for the dining party. When you check in for your reservation most of the time the host will confirm the food allergy. Don’t be afraid to speak up if they do not ask at check-in. Once you are seated also confirm that the server is aware of the food allergy. The wait staff will provide you an allergen menu. This menu has the most common allergens such as gluten/wheat, milk, peanut, tree nut and fish/shellfish. If the menu doesn’t answer your questions or if your allergen isn’t on the menu request a chef consultation. We request a chef at almost every table service restaurant that we visit at both Disney World and Disneyland. We need to consult with the chef because corn is not on the allergy menu. The chefs are super knowledgeable, work with you to decide meal options and figure out modifications for meals. Going to a table service restaurant at any Disney property is a treat for Elizabeth. She is able to eat a meal without worrying she will become ill. This attention to detail with food allergies at Disney makes for an amazing relaxing vacation. 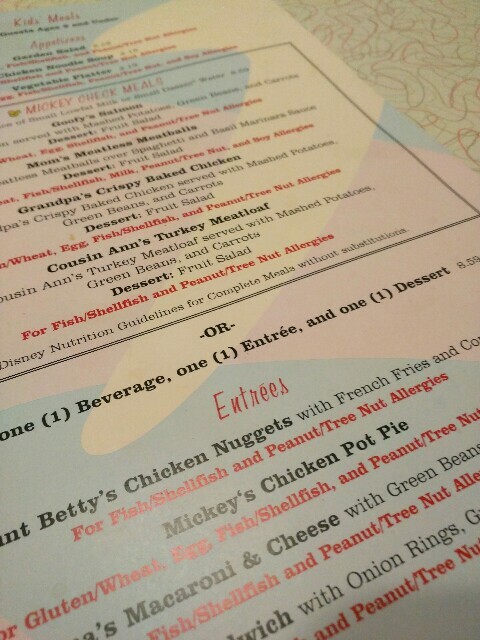 Food allergies at Disney quick service restaurants are handled differently than table service restaurants. Select quick service restaurants have allergy menus, but not all. We try to find safe looking items on the on-line menu before we go to Disney. Once we are at the quick service location we notify the staff of the food allergy. The staff sometimes speaks to the chef on our behalf and sometimes the chef comes out to speak to us directly. This allows us to to confirm that the quick service meal will be safe for Elizabeth. This process certainly takes longer than the normal quick service dining experience, but we are grateful that we can get help finding food. I asked about corn-free options for different quick service restaurants and received a reply within 48 hours. This sometimes works, but many times we are told to talk to staff on-site since product changes can occur. Even though we fly to Disney World and Disneyland I still pack safe snacks, cereals and ketchup to use throughout the trip. We also order food from Garden Grocer to have additional safe food options. Finding safe food at Disney shouldn’t be a monster of a job! We have done this on many Disney World and Disneyland trips to find safe treats for Elizabeth. I have also had success asking at snack carts. 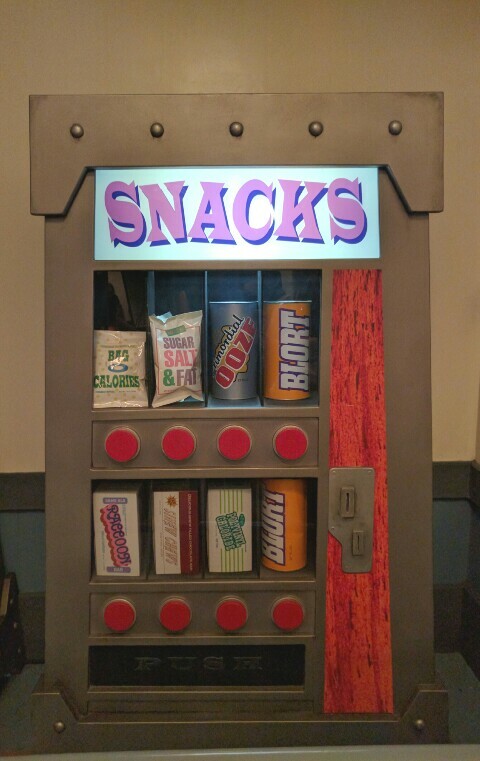 The snack carts usually have a binder for most common allergens. These common allergy lists don’t help us with a corn allergy, but I have had the people working in the carts rummage around for boxes with the ingredient lists. I just make sure there isn’t a huge line behind me and they have always been happy to check. To get the most up to date information check out these park specific websites. 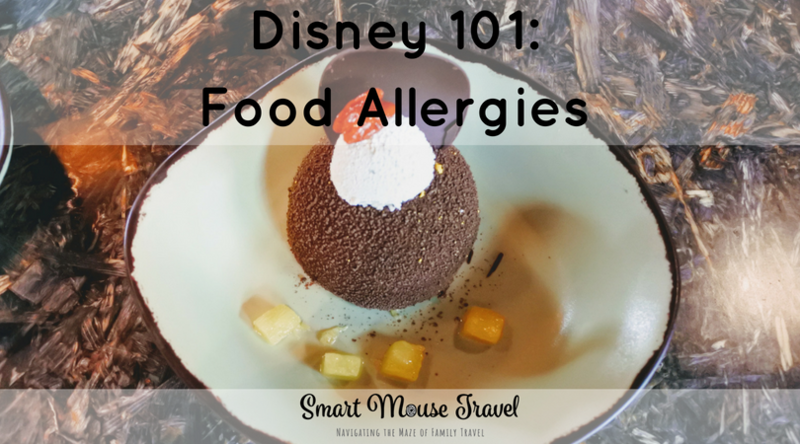 Dealing with food allergies at Disney World and Disneyland is so much easier than when we travel anywhere else. Disney chefs and cast members are well trained in food allergies and try to accommodate with available options. 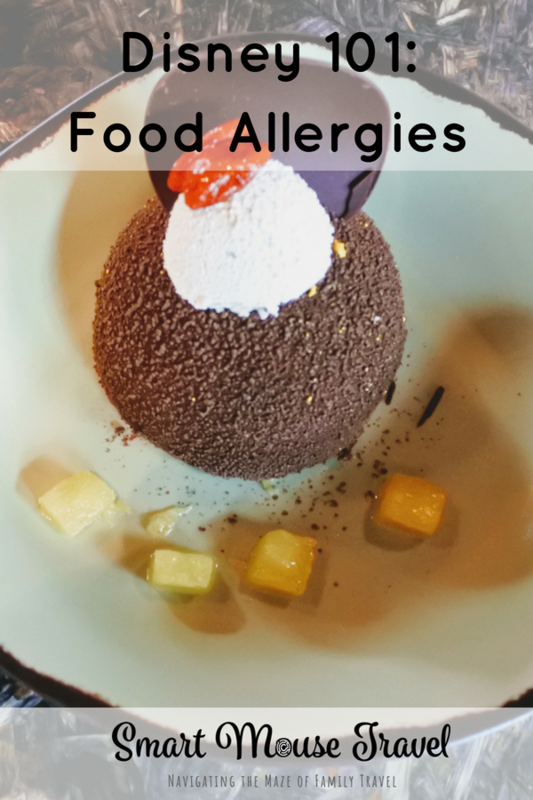 The food allergy accommodations aren’t always a perfect substitution, but on our many trips we have had very good experiences. That is amazing, I just love Disney, they are so good about all of this stuff! I had no idea corn was in so many things… kinda gross really! I am encouraged by this post to find that Disney was helpful with the corn allergy. My son has the top 8 allergens plus corn, so eating out is very tough. It usually results in chicken baked in foil or a skillet. Thank you for this post! I’m curious of the list of ideas Disney gave you. If you have time, e-mail me! Thanks for taking the time to post the blog! Dealing with all of those allergies must be a challenge. Each Disney Dining experience is different, so unfortunately I can not provide a specific list of ideas. Make sure that you ask to meet with a chef at table service meals or a coordinator at quick service meals. They will be able to help find some options based on your needs. You can also bring food into the park which we often do as a safe back up food option. Just be prepared that stopping to eat will take longer than for those without food allergies. Plan some extra time around meals.